Build your own frequency generator by turning Your Computer into a Rife Device in less than 30 minutes! Click Here to Compare all Three Packages. Why You Should Choose this Software? Our software has over 700 Pre-Programmed scripts (presets) and you can create your script and save it to the database. Competitor only has 85 presets. Purchase the Basic Package if you want the software only. Purchase the Deluxe Package if you want the software plus over 700 programmed frequency scripts. Step four: Add to cart, sign up as new customer or if existing customer sign in. Step five: Enter your personal information follow the steps to check out. Step six: At the download page watch the software installation video and download your product. Step seven: Instructions on where to get your amplifier & hardware for under $60 will be provided upon purchase of any package. Nee more help: Click Here to submit a new ticket. Blog: Please visit our blog for rife device generators. 1. You will need a Computer with, Windows Vista, Windows XP, or Windows 7, 8, 9, & 10. 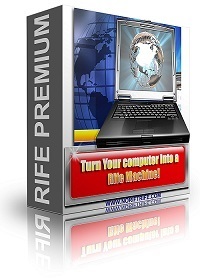 All instructions for building the rife frequency machine are online. (Note: Does not work with Windows Me or any 98 versions of windows. Your activation key will be sent by email. Our software allows the purchaser to change to a different computer or retrieve a new Activation key without contacting us. 2. You will need an Stereo amplifier or some type of sound amplifier. An amplifier as low as a 50w per channel may work. 3. You will also need two types of connectors. One from the computer to the Stereo and the second from the amplifier to the electrodes, and the electrodes. That's all you need! Remember software download & instructions on where to get the hardware will be included upon completion of your purchase. Free technical support for 60 days, a $30.00 value. Instructions on how to use your rife machine as a Hulda Clark Zapper. Step One: Add to cart, sign up as new customer or if existing customer sign in. Step Two: Enter your personal information follow the steps to check out. Step Three: At the download page watch the software installation video and download your product. Our interest in Rife Machine Technology began about 1997 when my prostate began to give me some problems and later my arthritis also became a problem in my everyday life. We learned that by generating frequencies from your computer and amplifying the frequencies my prostate problems would go away. After trying several different things, now I finally found the answer and all I had to do was spend 5-10 minutes by my computer. The setup steps are really very simple and will only take about thirty minutes to set up my first home system. You start with a Windows based computer and install a frequency generator. Some are free frequency software programs; however the ones that cost a small fee are the best. Install the software and make sure that the software generates square wave frequencies. You will need a stereo amplifier around 40w or so. Next, get two plastic pans that both feet will fit into and a small amount of salt. If you have some speaker wire cut about a 5 foot piece. Now get an RCA stereo wire from most any electronics store so that you can connect from your computer output to the amplifier input. To begin the setup process; start by peeling the speaker wire on both ends as if you are going to connect to a speaker. Now, connect one end to the speaker output on the stereo and the other end connect one wire to the first pan water and the other wire to the other pan of water. Now connect the RCA to the speaker output on the computer and the other end to the auxiliary input on the amplifier. Put your feet into the water pans, one foot in each pan. Turn the stereo unit all the way down. Start your software and select the desired frequency. Turn the volume control on your computer up to the max. Now gradually turn up the volume on the stereo and there should be a slight tingle that intensifies as the volume control is turned up. Never allow the speaker wires to touch each other. We have used frequencies for the flu virus, arthritis, candida, headache, metal clarity, and many other problems throughout the past 15 years. We have received many testimonials regarding frequency therapy in our email box from people all over the world praising the rife frequency software. Theory about Frequencies & why frequency generators work. What is a frequency resonator. We do not make any claims as to health benefits that may come from the use of a rife device. Rife Machine frequencies are not recommended for human use and can only be used for for experimental purposes on animals.